Business Continuity Management (BCM) is a management process that helps your company to identify potential risk, threats and vulnerabilities that could impact on your operations. New Voice provides you with a flexible and reliable BCM system capable of an effective response, especially when it comes to restore a business to normal operations following an unanticipated event or business interruption. 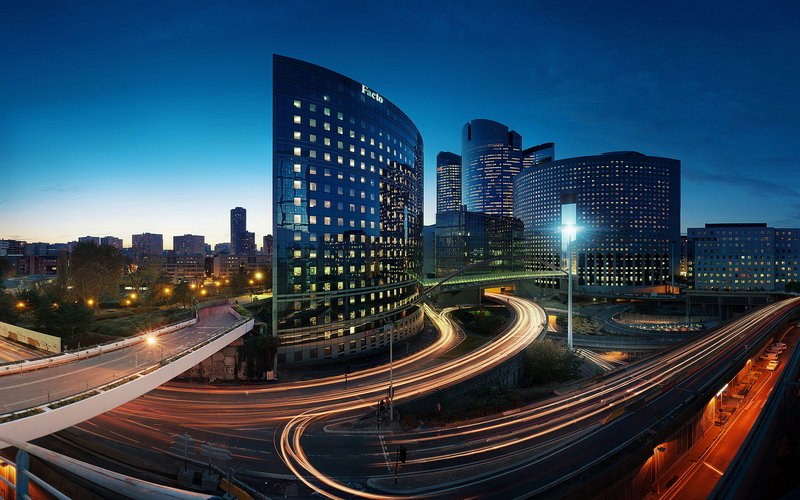 Our team of experts supports your company in emergency situations creating a targeted emergency management solution to cope with your daily challenges and helping you right from the beginning. In fact our statistical and operational analysis prepares you to be fully covered thanks to a multimedia communication system. New Voice offers you efficient and reliable communication and alerting in case of emergency, workflows optimization, as well an extensive documentation of all processes. We have a solution for each critical situation which may arise. Don’t be worried, be prepared instead. MobiCall can be implemented in a heterogeneous environment as a central alarm and information platform for different subsystems, providing all conceivable ways to trigger the alarm (e.g. 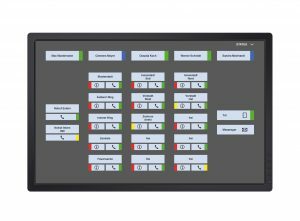 conferences can be called up at the touch of a button), thanks to standardised and producer-specific interfaces which allow a full integration in existing systems. New Voice solutions support a variety of standardised and manufacturer-specific interfaces to ensure a comprehensive integration of clinical, administrative and technical systems in use. MobiCall makes the most of all available media using voice, text, picture and video messages. 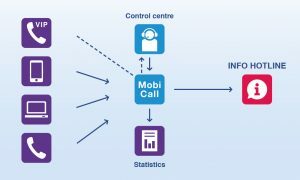 MobiCall cares for your staff and customers safety, enabling to draw on the integrated functions of an emergency call centre. New Voice provides you with a stress-relieving solution to best cope with emergency situations: a masterwork in the Unified Event Communication area –MobiCall, a reliable and comprehensive emergency management solution.